That brought an angry response from Rev. 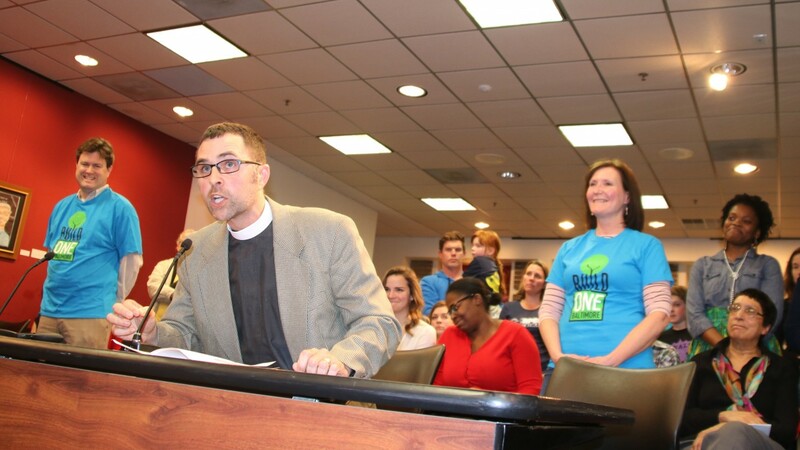 Andrew Foster Connors, representing the clergy and community group BUILD at a school board meeting packed with supporters last night. “We agree, Gov. Hogan – it’s a disaster because you and the legislature owe us the money,” Foster Connors said, raising an issue that has flared increasingly during the current crisis over the schools $130 million funding gap. He was referring to casino gambling legislation – supported by Hogan’s Democratic predecessor, Martin O’Malley, and approved by the Democrat-led legislature – that was touted as a source of revenue for city schools, but through a loophole never resulted in additional city school funding. 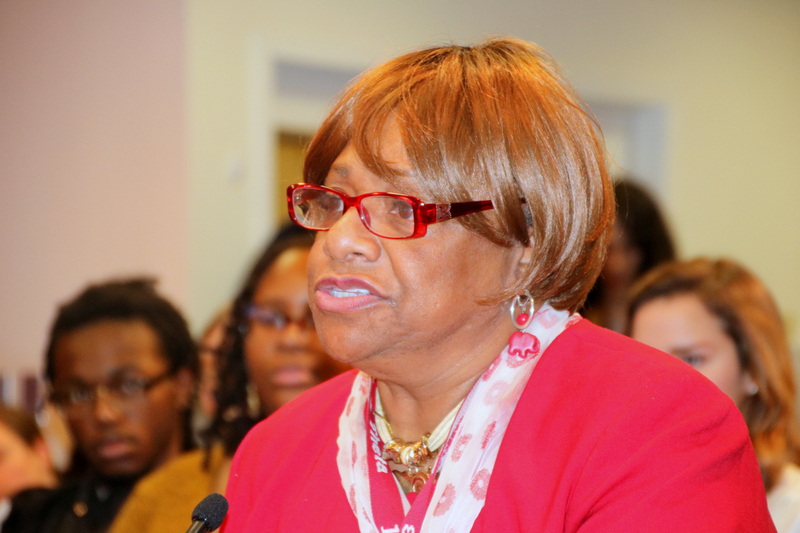 Foster Connors and several other speakers also referred to a legislative analysis last year that concluded Baltimore schools were funded adequately in 2008, but now receive about $290 million less each year than what lawmakers had previously agreed they need. But it was the issue of the missing gambling monies that seemed to draw the most response from the crowd last night. English called for the legislature to re-neogtiate that deal and also to re-examine the billion-dollar “21st Century Plan” underway to renovate and replace the city’s aging school buildings. City Schools’ $30 million contribution from the operating budget for school renovations, English said, could be applied to fixing the gap and saving jobs. She criticized not just state lawmakers and past administrations for “chronic underfunding,” but the current governor as well. Hogan, meanwhile, pooh-poohed the talk of a crisis. 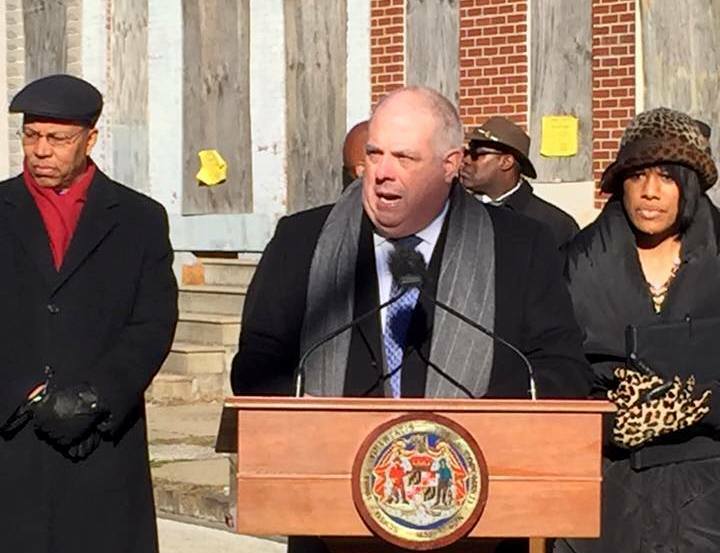 What advocates describe as a city suffering from historic inequities and structural racism, Hogan portrayed as a city with a history of getting special treatment. 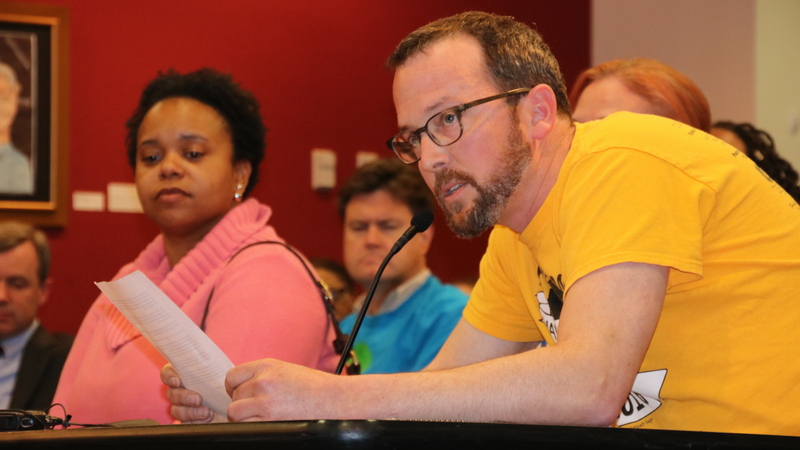 Battle-hardened stakeholders may be accustomed to the contentious talk and dire warnings, but inside the schools, three parents from Northeast Baltimore said, the threats of 1,000 layoffs and cutbacks is causing disruption and distress. “These are people. They are not “positions,’” said Ben Dalby, a parent at Hamilton Elementary/Middle School. “We’re asking the board to stop budget process at the school level or restart the budget process at the level of school funding our children deserve,” Dalby said. Dalby noted that the budget process requires parent members of the School Family Council to sign off on the budget process.